"The perfect resource to help anyone whose life has been touched by the addiction epidemic." - Sarah Patrick, R.N. Are you mired in active addiction and struggling to find a way out? Are you concerned for a loved one whose life is being controlled by drugs or alcohol? Accept, Reflect, Commit: Your First Steps to Addiction Recovery offers the resource you need to prepare for treatment, choose the right recovery program, and successfully achieve and sustain sobriety. 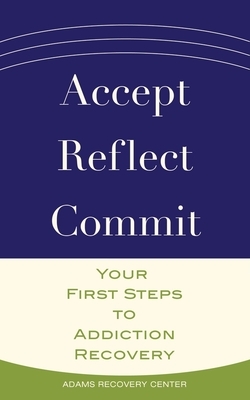 With reflection questions and room for written responses, Accept, Reflect, Commit is a practical guidebook to help you or someone you love make the first steps toward health, hope, and healing. Adams Recovery Center is a separate-gender drug and alcohol treatment program located in Ohio. ARC offers residential, intensive outpatient, and individual counseling services. The program is a modified Therapeutic Community running the Hazelden clinical curriculum. ARC uses the latest evidence-based practices and incorporates cognitive behavioral therapy, rational-emotive behavior therapy, and behavior therapy to maximize client gains in the program.